Nirbhay is capable of loitering and cruising at 0.7 Mach at altitude as low as 100 metre. 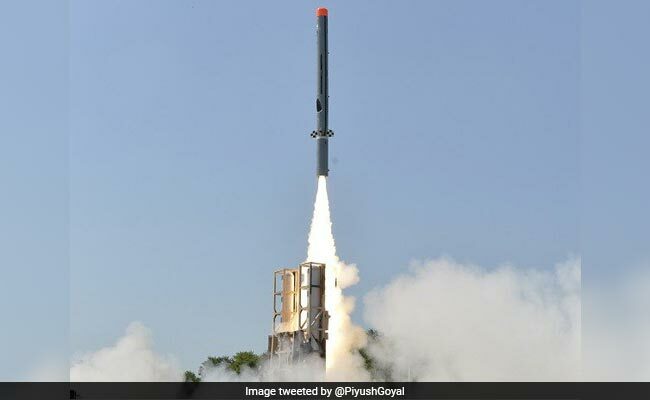 India on Monday successfully test-fired its first indigenously designed and developed long-range sub-sonic cruise missile ''Nirbhay'' from a test range in Odisha. The state-of-the-art missile, which can be deployed from multiple platforms, was test-fired at 11.44 am from launch complex-3 of the Integrated Test Range (ITR) at Chandipur near Balasore, sources in Defence Research and Development Organisation (DRDO) said. The last successful trial of ''Nirbhay'' cruise missile was conducted on November 7, 2017.